Making Cents With D: 500 Fan Give Away!!! I'm just like you probably...I like to save money on regular household things & groceries. I also like to shop. What could possibly be better: saving money while you shop? Spend a little time & see what you can get & how much you can save doing it! Yay we made it to 400 so it's time to start the 500 fan giveaway! When we reach 500 fans a winner will be chosen! Hi I decided to follow you through blogger since I couldn't quite get the rss subscription to work. Do you use feedburner? Thanks for the giveaway and congrats on the 400!! I just reached 400 over at my page to. No I don't use feedburner. Hello! I am newer to couponing but This binder would be an awesome way to get started! Thanks much for the chance to win!! YIPPY!! I'm excited for u! Hello D, not sure if that will work, just signed up to follow your blog, so I'm a newby. the last couple weeks I been "following" you on facebook to learn about couponing, thank you so much for all the info's and great coupons. In the blog it says the contest is over, but on facebook I just read your post and it say's 4 more hours to go, so I'll try my luck. 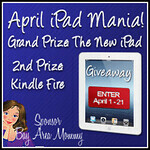 TAX DAY GIVEAWAY! BLOGGER SIGN UPS!!! And A Referral Prize!!! FRIDAY only! $1.99 a 12 pack of Coke at CVS! There's a Ragu coupon out. I keep at least a few of these on hand for quickie dinners... Click Here to get the coupon!